We all use air conditioners, especially in summers, to beat the heat. Air conditioning, however, is an energy intensive process. 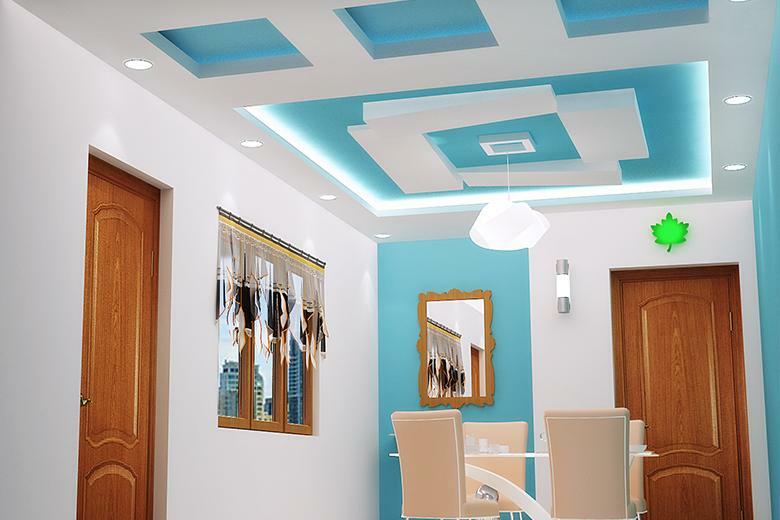 Designer ceilings optimize your air conditioning usage and reduce those inflated summer electricity bills. For example, if your room is 12 x 12 sq. ft. and your false ceiling is one foot below the actual ceiling, it will cut down 12 x 12 x 1 cubic space that would otherwise have needed to be cooled by the AC, reducing your energy bill. 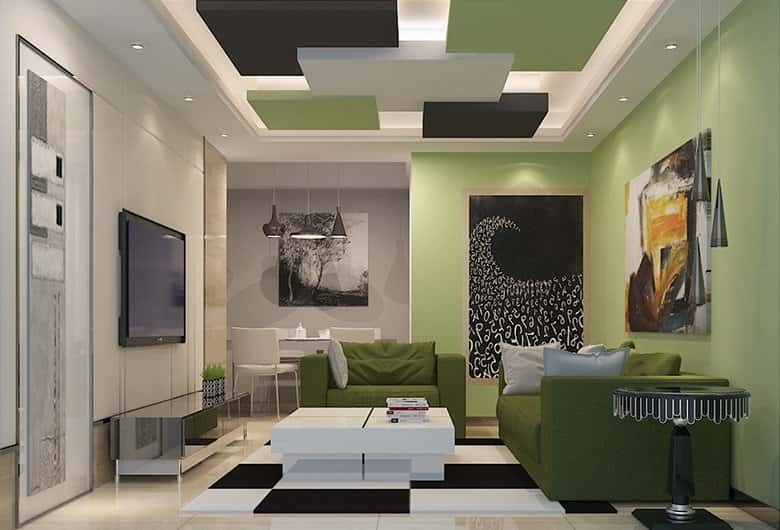 False ceilings are suspended a few inches below the slab on a metal framework which can be made of any construction material, based on the budget. Since there is a gap between the two layers, the air within is trapped. This acts as insulation that keeps your room cool by preventing the heat from outside coming in. And this, in turn, further reduces your AC load. What’s more, since the air filled insulation between the two layers of ceilings keeps the room naturally cool, you often don’t need to use the air conditioner at all! As per a 2015 study on residential energy consumption, lighting consumption contributes around 30% of the residential energy consumption in India. In fact, lighting costs contributes to 10-20% of our homes’ total electricity bill. 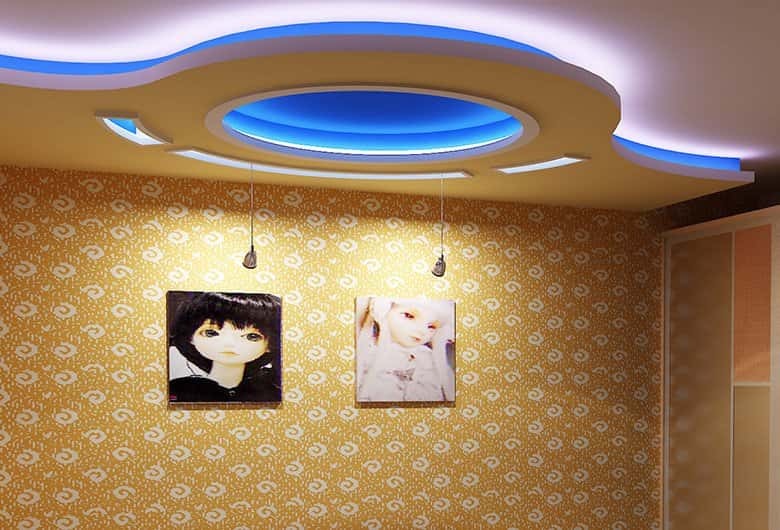 A big advantage of installing designer ceilings is that instead of using tube lights inside your room, you get to use high quality LED lights that consume less energy and are far more durable. 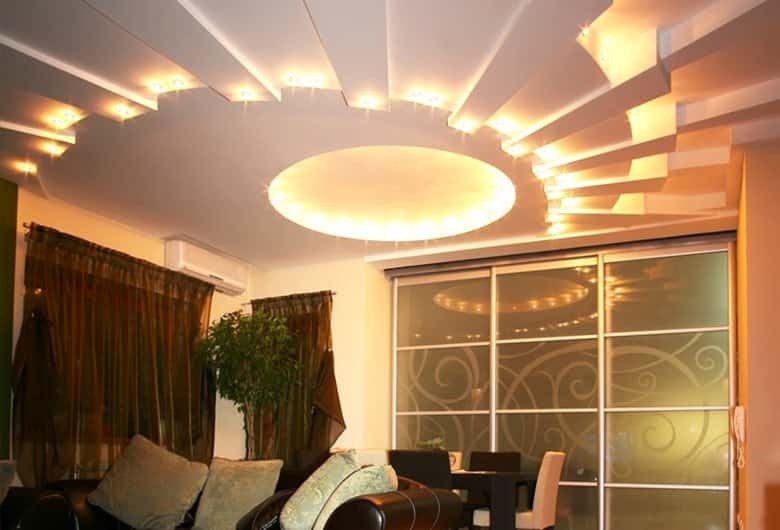 Based on your ceiling design, you could fix LED lights creatively in various corners of the house and use as much light as you require, while saving on energy and costs. In addition, designer ceilings can be highly reflective. This decreases the amount of light needed to illuminate the room. You can now use fewer lights to achieve the same brightness in your room and save money on your electricity bill. 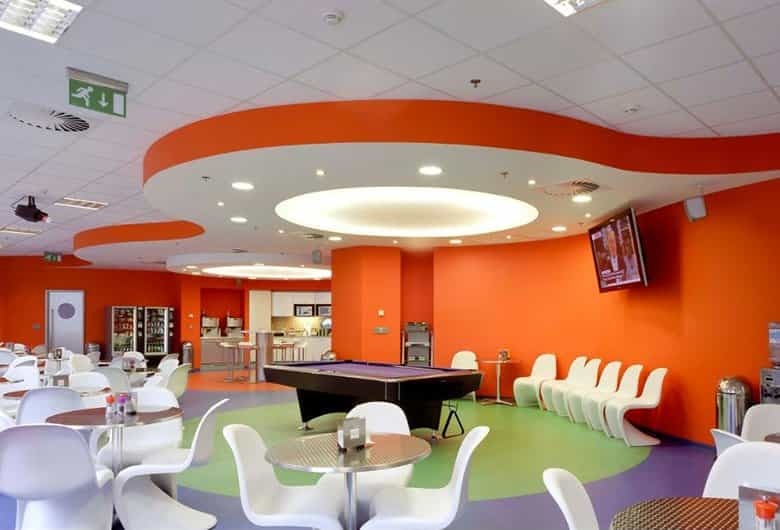 So if you have false ceiling ideas, but the expense has been worrying you, remove your fears now! In the long run, you will save on renovation, air conditioning and lighting costs. 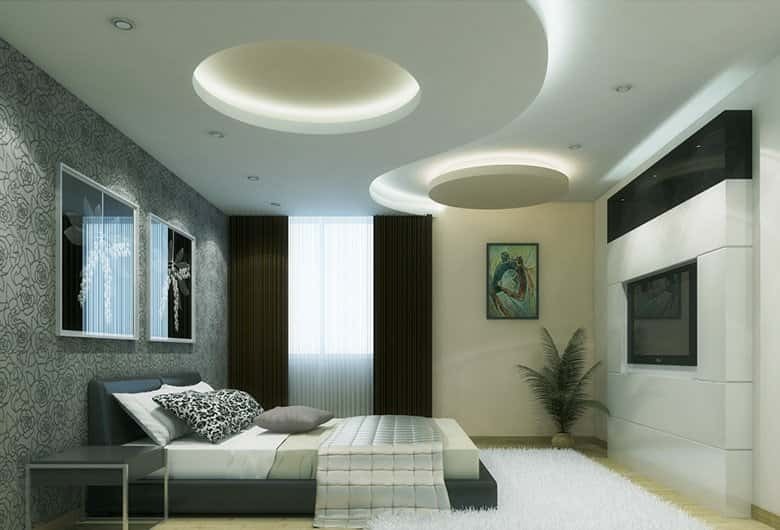 With Gyproc’s range of false ceiling ideas and solutions, you are sure to find the ceiling design that matches your style and your home’s décor.